Had some time today while waiting for my Lamb Cakes to get over-done in the oven today and thought I'd do another card for the Newton's Nook Designs Inky Paws Challenge #44. I got two for the price of one this time. 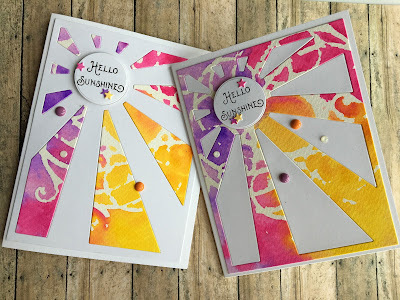 I started with a watercolor panel that I painted reinker colors for the challenge over a stencil I found in my drawer. 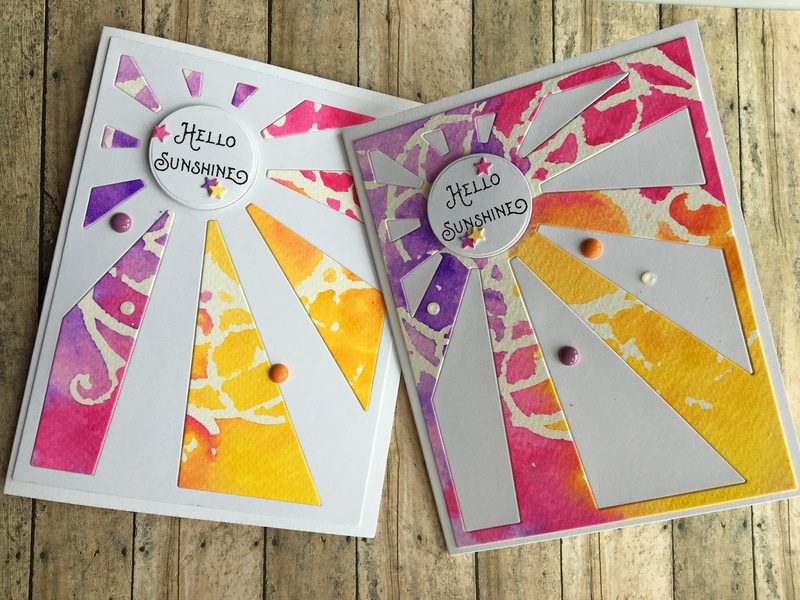 Once it dried, I die cut the panel and used the positive and negative to make both cards. I used the sentiment from Newton's Flower Garden (I masked the words to shorten the sentiment to fit the little circle) popped it up with pop dots. I die cut some stars and then found some colored enamel dots to match up the colors. Voila! Wow! These both look amazing! Thanks so much for sharing at Inky Paws Challenge! These are beautiful! I love the gorgeous background panels and the word as center stage! Thanks for getting inky with us and linking up to our inky paws challenge!